Free Shipping Included! VillaWare 2007 UNO Series Waffle Boat Maker by Villaware at Just Gathering. MPN: V2007. Hurry! Limited time offer. Offer valid only while supplies last. 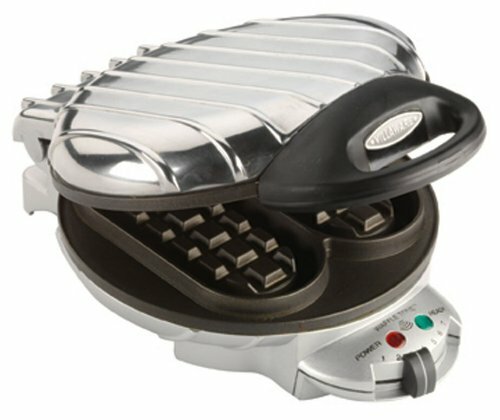 Bakes a single 6'' round waffle featuring boats. Ready light tells you when to start baking and when waffles are done. Premium non stick coating. Bakes a single 6" round waffle featuring boats. Ready light tells you when to start baking and when waffles are done. Premium non stick coating. Cool touch handles. Convenient cord wrap. Stands upright for compact storage. One year limited warranty.